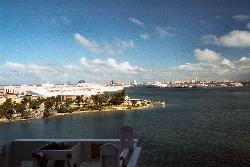 A view of the San Juan coastline in 2002, as the Explorer of the Seas cruise ship is departing. Scanned from a negative. 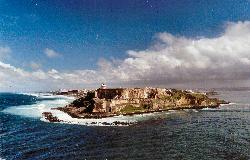 View of El Morro. Leaving the port of San Juan on the Explorer of the Seas cruise ship. Scanned from a negative. The upper level outdoor main pool on the Royal Caribbean Explorer of the Seas. 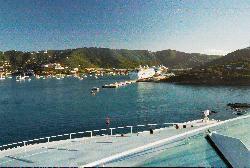 Leaving the port at San Juan. Scanned from a negative. A view of all the stateroom windows above the Royal Promenade in the Royal Caribbean Explorer of the Seas. Scanned from a negative. 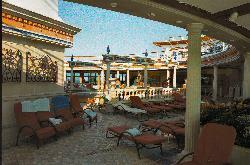 The Solarium pool area aboard the Explorer of the Seas, is an adult only area. Scanned from a negative. from site: The second of five in the revolutionary Voyager-class series that started with Voyager of the Seas in 1999, Explorer of the Seas follows the floating resort concept, boasting an a wealth of facilities, activities and entertainment. 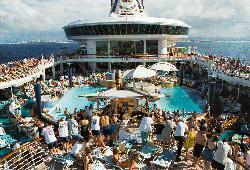 from site: Explorer of the Seas is one of five Voyager-class cruise ships from Royal Caribbean International. She can accommodate over 3,100 guests, including scientists making use of a built-in atmospheric and oceanographic laboratory operated by the University of Miami's Rosenstiel School of Marine and Atmospheric Science. from site: Know as the Cruise Capital of the World and ranked 8th among the nation's leading seaports, the famous Port of Miami is home to just about every cruise line you can think of. 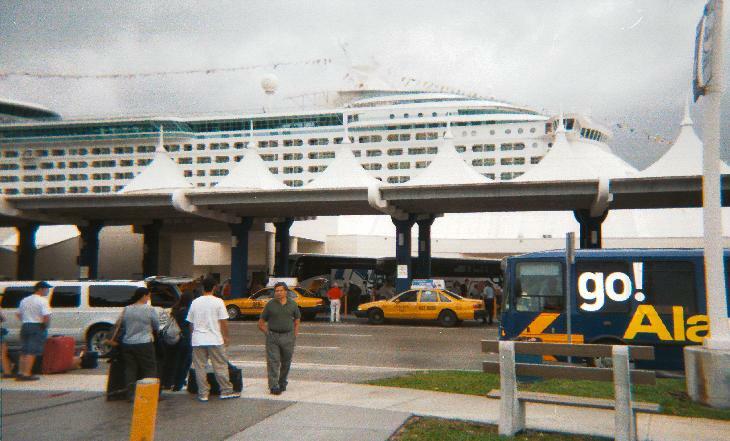 Every year, about 18 cruise ships and 4 million passengers leave from the Port of Miami. from site: To continue its position as a world-class facility, Miami is continuously preparing for the next generation of cruise vessels. An ambitious capital improvement program is currently underway. 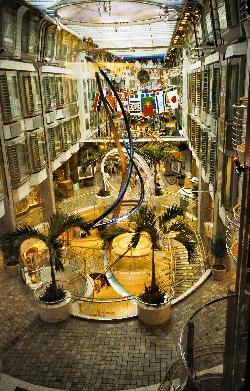 Already completed are two ultra-modern cruise terminals. 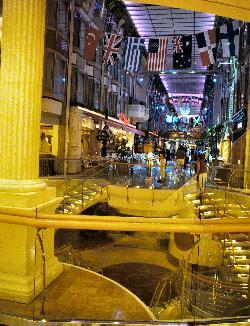 from site: Royal Caribbean operates one of cruising's most intriguing fleets. Ships range from mid-sized, middle-aged ships which -- like Majesty of the Seas, for instance -- have received major updates, and state-of-the-art and on-the-cusp mega-ships, such as Freedom of the Seas, with its surf park and boxing ring.